What do electronics, avionics, and many other plastics and powders have in common? They can all be sensitive to electrostatic discharge. 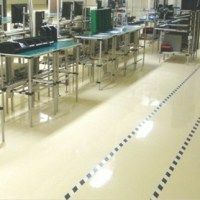 Facilities handling these products need reliable ESD or conductive concrete flooring, help safely dissipate the electrostatic potential and prevent damage to expensive equipment, electrical shocks to personnel, arc flashes and similar incidents. Consistent static dissipating performance, in accordance with ESD Association guidelines. 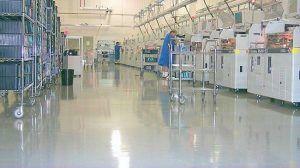 Both ESD and conductive flooring formulations available. The floor is grounded for your protection. Installed by trained specialty contractors. 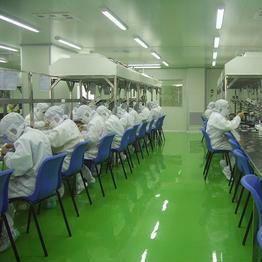 Excellent chemical, abrasion and puncture resistance. No waxing required great life cycle value. Customizable slip-resistant finishes, Solvent-resistant, tire mark and betadine-resistant topcoat available. Moisture-mitigating and waterproofing underlayments available. Let a Concrete Renovations Inc. representative come, understand your needs, and create a solution for you!